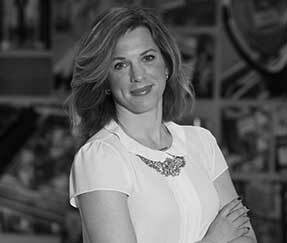 Kate McShane joins the NPEF with 15+ years PR experience focusing on events, launches and overall communications. As a Vice President leading the Fashion & Beauty Group at Coyne PR in Parsippany, Kate’s primary goal across all her clients is to work cross functionally to achieve competing goals as well as drive excitement and awareness. In 2018, she was awarded as one of Jersey’s Best MarCom Professionals Under 40. Kate has resided in New Providence for five years with her husband Bryan, first grader Zander and Pre-Ker Lucy. Kate grew up in Mendham and studied Journalism and Communications at the University of New Hampshire. She began her career as the Arts and Entertainment reporter at The Inquirer and Mirror in Nantucket.